World Bank Supports Capacity Building of Animation Programme at UTech, Jamaica — UTech, Ja. Nicholas Wellington, (seated) final year BSc in Animation Production and Development student in the School of Computing and Information Technology (SCIT), University of Technology, Jamaica has the keen attention of (from left) Mr Jorge Familiar, World Bank Vice President for the Caribbean and Latin America, Ms Nadine Maitland, Programme Director, BSc in Animation Production and Development, SCIT and Mrs. Jenice Lynch, Subject Leader, for the programme. Mr Familiar and a delegation from the World Bank visited and toured the UTech, Jamaica Digital Animation lab on Thursday, November 8, 2018. 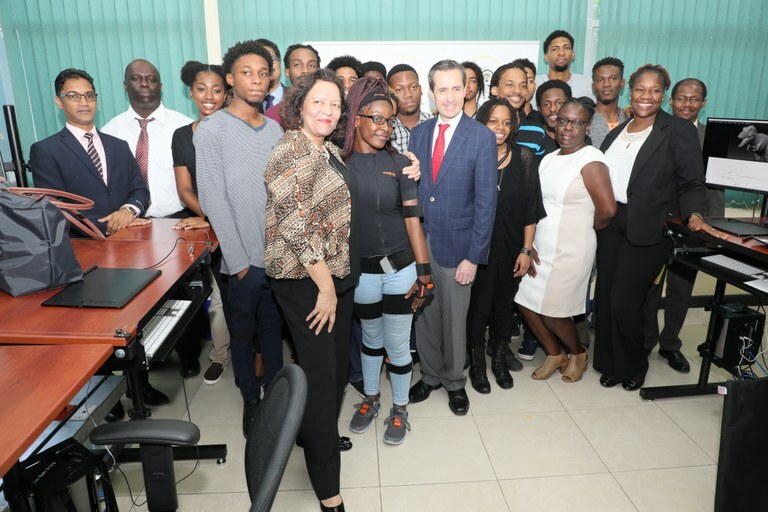 The Animation Production and Development degree programme at the University of Technology, Jamaica has been significantly boosted by support from the World Bank, through the implementation of the Youth Employment in Digital and Animation Industries (YEDAI) Project facilitated by an agreement signed between the Bank and the Government of Jamaica. The Project is providing over $44 million dollars of resources in digital animation hardware, software and training at the University. 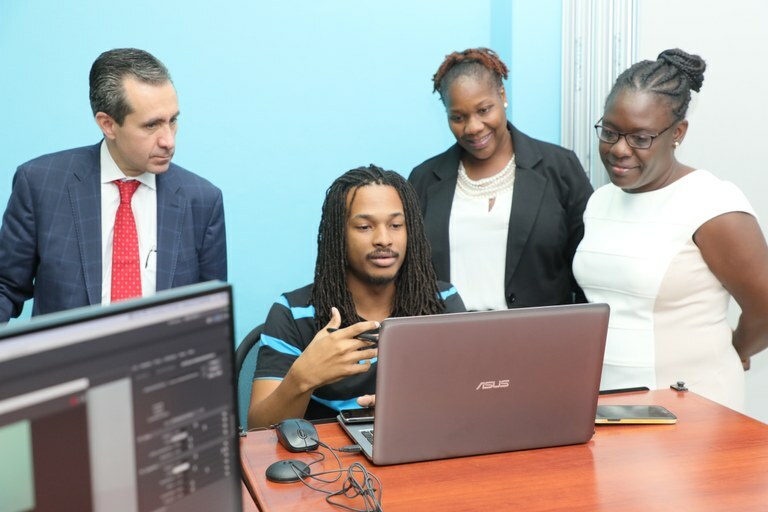 World Bank Vice President for the Caribbean and Latin America, Mr Jorge Familiar accompanied by a delegation, visited the Digital Animation Lab at UTech, Jamaica’s Papine Campus on Thursday, November 8, 2018. During his visit he reviewed first-hand, the results of the YEDAI Project implementation at the Campus and interacted with members of faculty and animation students who are pursuing the Bachelor of Science in Animation Production and Development. 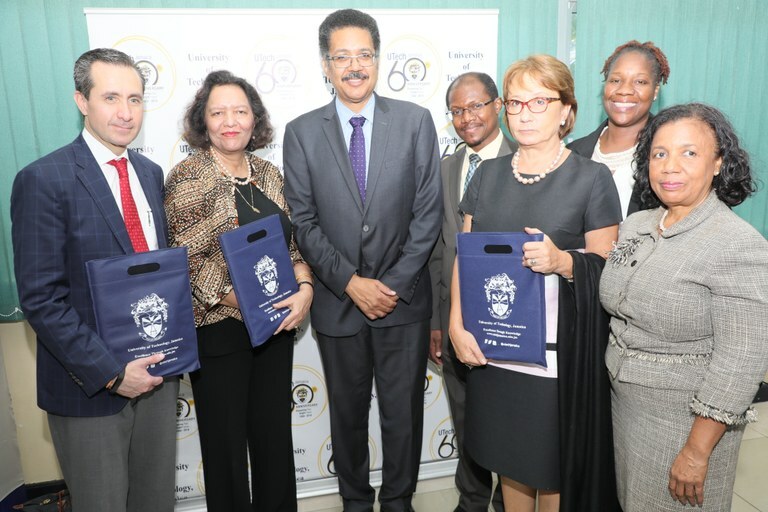 Mr Familiar was accompanied by World Bank executives, Ms Tasheen Sayed Country Director for the Caribbean, Ms Galina Sotirova, Country Manager for Jamaica, Ms Karlene Francis, Operations Officer and Mr Robert Reid, Animation Specialist, YEDAI Project, Office of the Prime Minister (OPM). 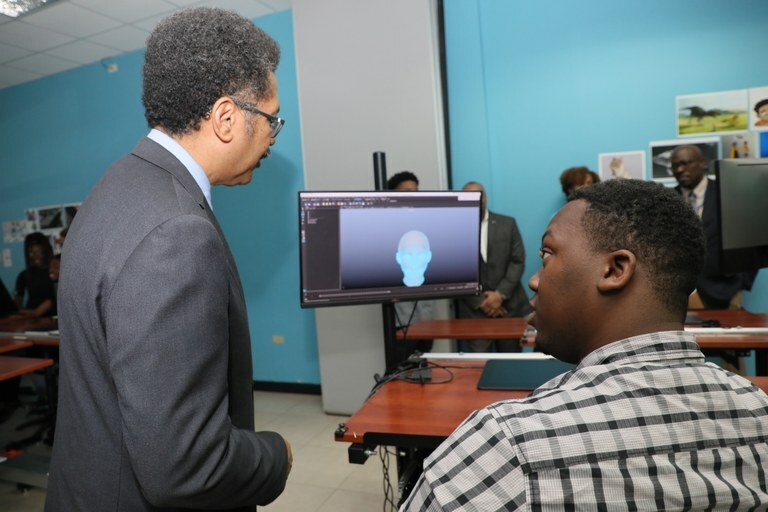 The visit concluded with a demo reel of students’ 3D animation work, some of which the Programme Director noted, have been done for private companies and for the Government of Jamaica. 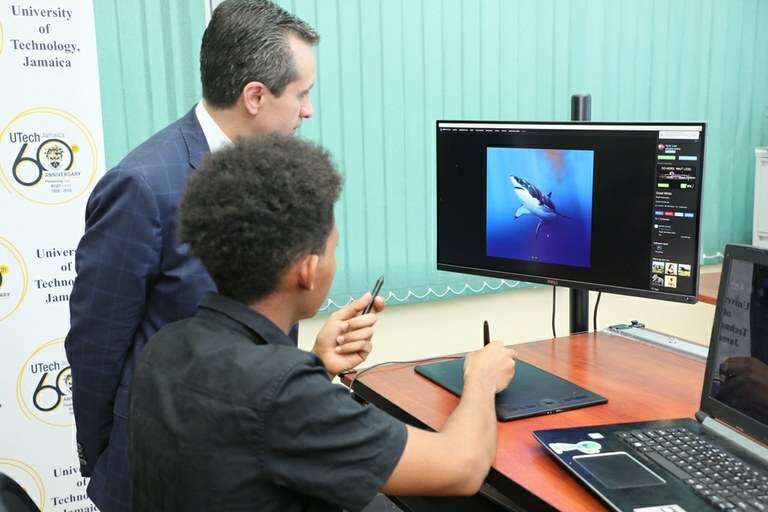 Animation students show off their work: 3rd Year student Kyle Lee explains one of his very impressive animations to Mr Jorge Familiar, World Bank Vice President for the Caribbean and Latin America, during his tour of the UTech, Jamaica Digital Animation Lab on Thursday, November 8, 2018. President, Professor Stephen Vasciannie pays keen interest to an animation demo by Richard Perkins, final year animation student. World Bank Executives pose with their UTech, Jamaica tokens, with President, Professor Stephen Vasciannie (centre) and other UTech, Jamaica executives following the tour of the Digital Animation Lab. (L-R) Mr Jorge Familiar, World Bank Vice President for the Caribbean and Latin America, Ms Tasheen Sayed Country Director for the Caribbean, Professor Colin Gyles, Deputy President, Ms Galina Sotirova, Country Manager for Jamaica, Ms Nadine Maitland, Programme Director, BSc in Animation Production and Development, SCIT and Mrs Mercedes Deane, University Registrar. World Bank and OPM executives share the happy occasion with animation students, lectures and other members of UTech, Jamaica leadership.